Organizers of the International Lasallian Youth Meeting (EIJL), which will be held near Rio de Janeiro, Brazil before World Youth Day (WYD), July 2013, have announced that the rate for attendees has been reduced. The Lasallian District of Brazil-Chile and other sponsors are now covering some of the EIJL expenses which will help reduce the cost of registrations to $195 from $285. WYD is offering participants who register before January 31, 2013 a five percent discount. WYD runs from July 23-28, 2013. Prior to that gathering, the District of Brazil-Chile will welcome young Lasallians, ages 16-35, to the EIJL from July 20-22, 2013. It will be held at La Salle Niteroi, a school outside Rio de Janeiro. Participants can stay overnight at La Salle Niteroi for the duration of both events. Schools in RELAN are encouraged to consider sending representatives to both gatherings. 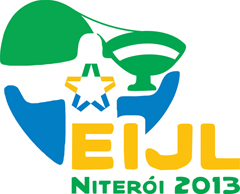 Visit the EIJL website from the District of Brazil-Chile for more information and to register.